Need to conserve water? Try the ol' brick-in-the-toilet trick. By placing a brick in the toilet tank, you save about 1/3 a gallon of water each flush. Visit this site for a comprehensive set of free K - 12 lessons, videos, and interactive tools that will reverse the way you think about waste including downloadable recycling fact sheets and virtual field trips. Sponsored by Discovery Education. Make it yourself: household cleaners - find recipes and more at www.treehugger.com! 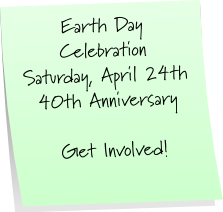 Click here to see our students planting trees in honor of the 40th Anniversary of Earth Day! 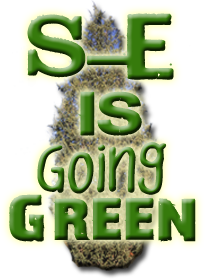 Click here to see our Earth Day Posters created in Mrs. Bills' Digigraphics Class and SEJH GT Students!